Like most things in life, servers need to be looked after every now and then for optimal performance. Here’s some easy maintenance steps for clients to ensure everything is running smoothly. 1. Backup your data. If you listen to just one thing in this article, let it be “backup your data”. Always be proactive when it comes to your business. 1 in 4 businesses don’t reopen after a data disaster. It is strongly recommend that you save your backups to a remote location in addition to the local destination. A second secure location is preferred in case of hardware failure, data corruption, or human error. HostDime offers in-house remote storage as an add-on to your server account. Backup Primer – Read this first! 2. Ensure your CMS is current. Whether you use WordPress, Drupal, Joomla, etc, it’s always best to update to the most current installation as they often come include much needed security improvements. Remember to perform a complete backup before updating, just in case something breaks. A quick note about the new WordPress 5.0 update however. It is the biggest release in recent memory, and early reviews have not been promising. 3. Update all plugins and themes. Take a look at your can’t-live-without plugins and see if a new version is ready for download. Update the plugins you are using and delete the ones you don’t need. Eliminate unused third party plugins that slow down and bloat your site. 4. Upgrade your control panel. Ensure your control panel is upgraded to the latest version. Note that once a version enters End of Life, there will be no more installations, fixes, or patches available, so upgrading is important. You may even want to take inventory and see what other panels are out there; we recently highlighted how far Plesk has come, who have amped up their extensions and features. Plesk can now handle whatever your set up requires, whether it’s Linux, Windows, Docker container, you name it. 5. Check RAID alarm. For you RAID users, check to make sure you didn’t miss a notification regarding any sort of disk failure. Some RAID levels will only accept a single disk failure before it stops working. And if you are satisfied with the data storage and protection, increase your speed with a RAID add-on. 6. Monitor Server Resources. Make sure you are not near peak resource limit by taking a look at your server’s CPU, RAM, and disk. 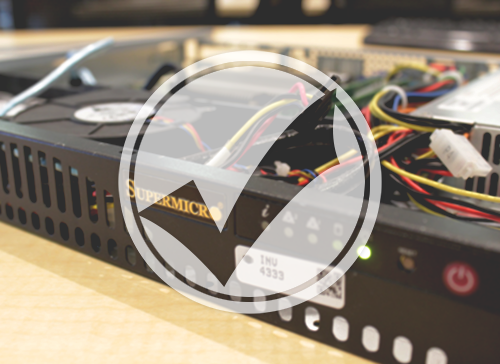 If there’s nothing you can remove, you may need to consider upgrading your server. You can view all this in the “Resource Usage” section if you have a HostDime CORE account. 7. Consolidate and archive old content. Now would be a good time to take stock of the backend of your site and remove any web scripts, databases, or other files that are no longer in use or needed. This is scary to someone checking out your website. 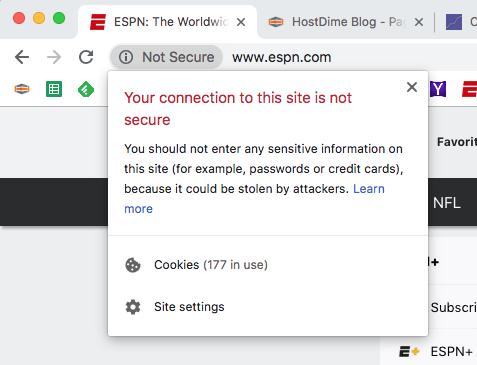 Websites with HTTP connections are labeled to warn users that their passwords and credit card data may be compromised. 9. Clean out e-mail. Save server space by cleaning out your e-mail if you are not in the habit of deleting them immediately. Also, removing old email addresses that are no longer in use will not just save space as well, but alleviate spam. 10. Change and diversify old passwords. It’s a good habit to change you and your clients passwords every few months. Also it’s a bad idea to have the same password for most of your company’s logins. If one password is comprised, a hacker would have carte blanche over your data. On World Password Day, we gave out some tips to stay secure. 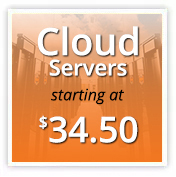 HostDime.com, Inc. is a global data center company offering an array of cloud products which include managed services for scalable cloud storage, dedicated servers, VPS (Virtual Private Servers), and colocation. Will definitely put this into play this year for my Orlando mobile app development server hosted there at HostDime!